With just a touch, the available Rear Camera Mirror streams video to the rearview mirror. This view offers a wider, less-obstructed view than an ordinary rearview mirror. And a simple toggle instantly reverts to a traditional rearview mirror. 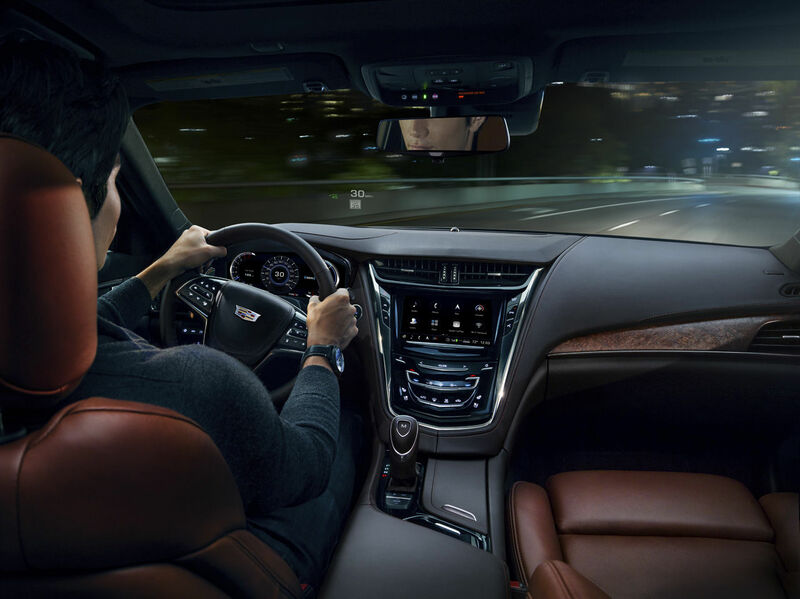 In the driver’s seat, you can project the information that matters most to you with the available Head-Up Display (HUD). Speed, audio, navigation and other information are projected onto the front windshield, so you can keep your eyes on the road. A different display option is the available V-Sport gauge cluster. You can customize your view to emphasize your tachometer, mph or other information in three reconfigurable themes. The available 4G LTE Wi-Fi® hotspot5 allows you to connect up to seven devices at the same time, up to 50 feet away from your CTS. And just as convenient, compatible devices can be powered with the Wireless Charging feature. Even your key fob is intelligent. Use it and Adaptive Remote Start will engage the engine from up to 100 yards away. It can also sense outside temperature to activate the appropriate cabin climate control, as well as heat your steering wheel, if equipped, when needed. 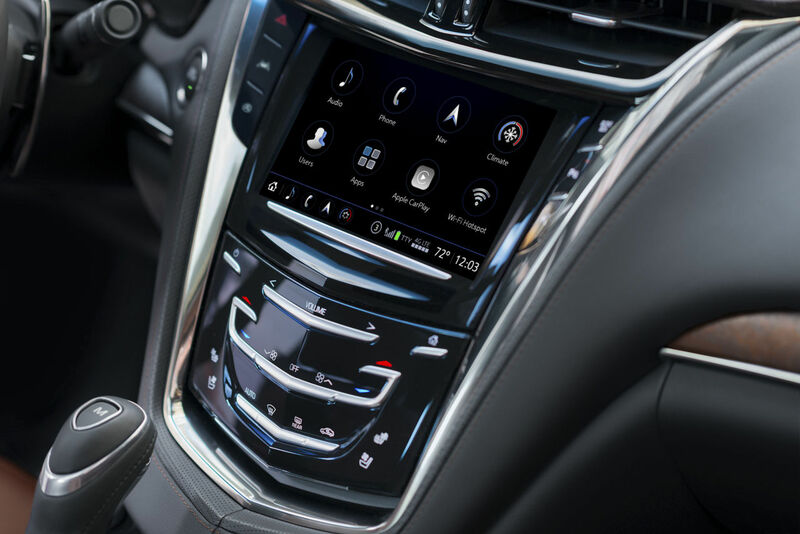 Plus, with your myCadillac mobile app and a paid subscription, you can lock, unlock and remotestart the vehicle and get select vehicle information from anywhere you have cellular reception. Phone Integration with Apple CarPlay compatibility allows you to access your contacts, Apple Music™ and other information from your iPhone® with a touch of the screen. Apple CarPlay™2 also allows you to access Siri,® so features are easily accessible to you or your front-seat passenger. Phone Integration also offers Android Auto™4 compatibility.